I know that Christmas day is actually next week, and you’re all too busy buying last minute presents on Amazon, but trust me, this post will help you get into the festive spirit without the need to take a walk down Oxford Street. 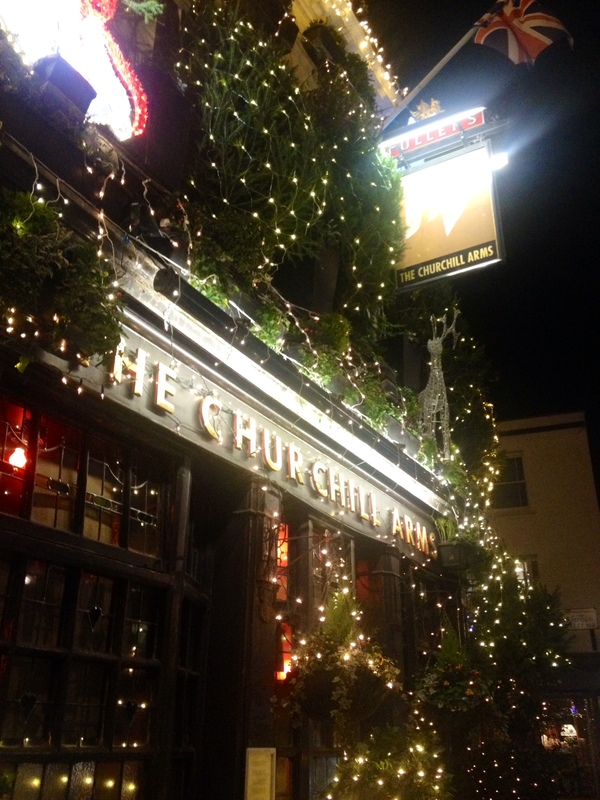 The Churchill Arms is located in Kensington Church Street, a 5 minute walk from Notting Hill Gate station, and it surely is one of my favourite pubs in West London. The ambience is cozy and warm, the staff is super friendly, the selection of beers is not bad at all and they have a great Thai restaurant called Spice of Life on their flowery back, serving the best Pad Thai I’ve ever had outside Thailand. It’s since 2010 that I’m stuffing my face in this place, and I’m pretty much sure I’ve tried all the different things they have in the menu, from the quite filling prawn crackers to the great noodles and curries, both religiously made with fresh ingredients. 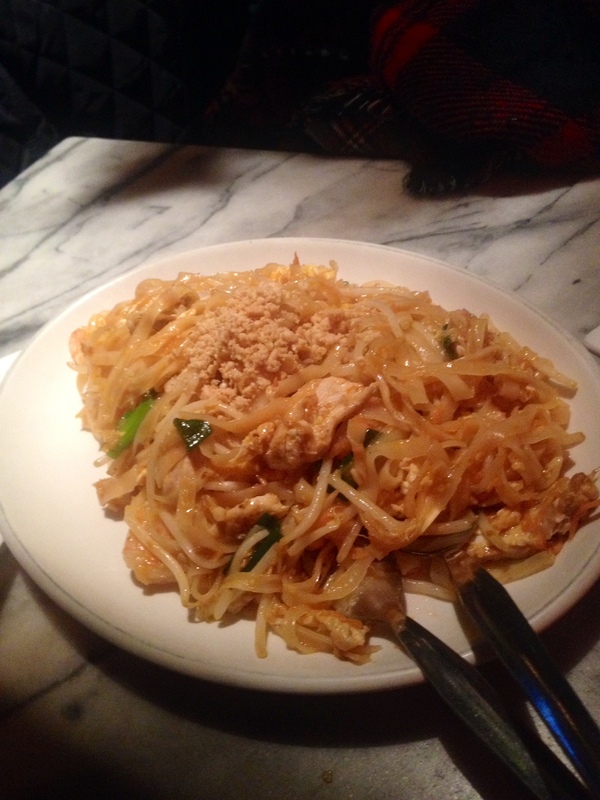 If you feel like you’re one of the braves that can handle the spiciness pretty well, then you should order their Pad Kee Mao, a darker type of noodles compared to the other ones, incredibly tasteful and unbelievably hot! Go there to enjoy some good food and chill out in that Xmas coziness before January comes to take everything away with its disgraceful blues and its freezing temperatures. 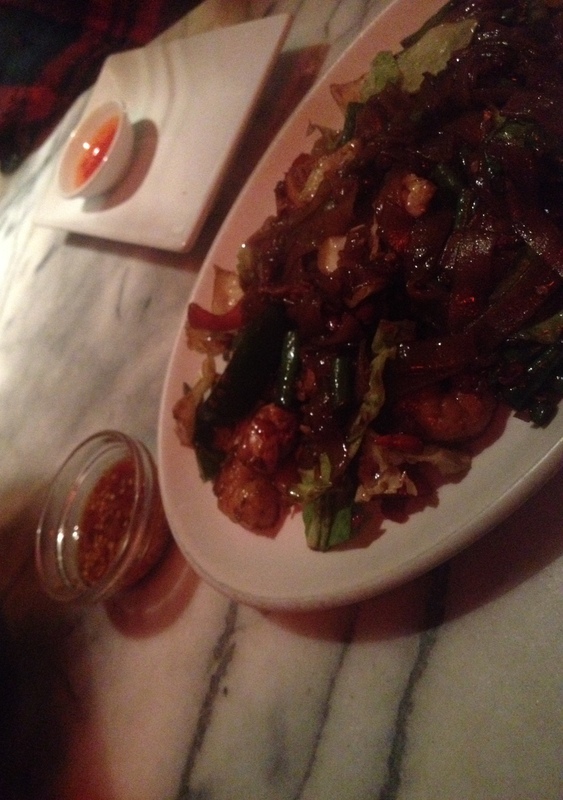 If you get the pad kee mao let me know how was it without using the word “spicy”. 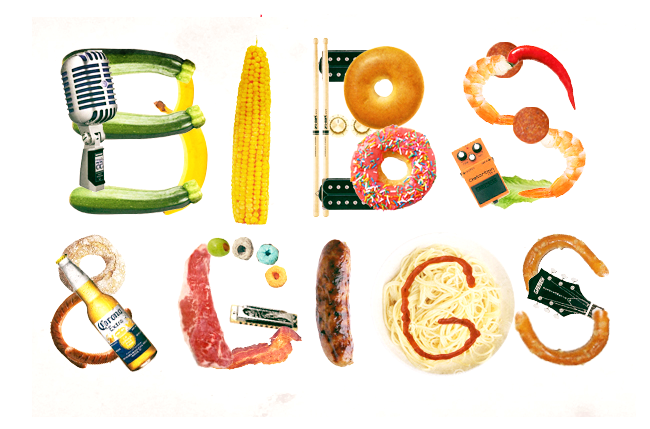 Gigs&Tips: As I told you not once but twice, I do have a band. We are called Arrows Of Time and our bandcamp page is frequently populated with very cool music. Check it out, and if you like our sound come and see us on January 17th at the Constitution in Camden.